THIS ADEMPIERE.COM, TOGETHER WITH ADEMPIERE.ORG DOMAINS, TWITTER, AND FACEBOOK ACCOUNTS HAVE BEEN UNDER THE CARE OF THE TRUSTEES OF THE COMMUNITY SINCE THE SEPTEMBER 2006 FORKING DEBATE. THE LAST TEAM MANAGING ON BEHALF HAS EFFECTIVELY ABSCONDED WITH THE PROJECT ASSETS, AFTER ARBITRARILY REMOVING THE TRUSTEES FROM SOURCEFORGE ADMIN/SHELL, ALLOWING OTHERS TO EXPLOIT THE PROJECT COMMERCIALLY, REVERSING COPYRIGHT CREDITS, AND REFUSED TO HOLD COMMUNITY REFERENDUMS OPENLY TO RECTIFY. 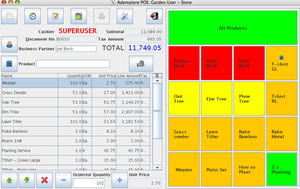 WE WERE FORCED TO CONTINUE THE PROJECT UNDER IDEMPIERE (OSGI+ADEMPIERE) SINCE 2012. THOSE THAT NEED TO DOCUMENT THE REFERENCES OF THE ABOVE CAN GO TO THE LINKS WITHIN. This Wiki is read-only for reference purposes to avoid broken links. The community continues to grow, adopting the high performance secure OSGi framework, amazing features, separation of modules from core for easy fast maintenance. It uses latest Jetty and ZK8. 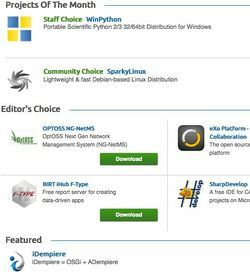 iDempiere = OSGi+ADEMPIERE is a huge success to win the InfoWorld 2015 and 2016 Bossie Award for Best Open Source Application in larger ERP category. 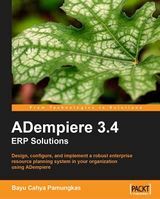 The old ADempiere project is still well supported at version 361LTS, with an open, upward migration path to present day OSGi+ADempiere. 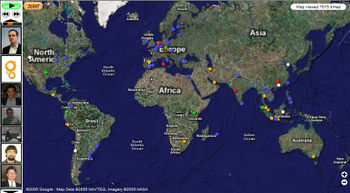 There is even a downward migration from ADempiere 370. 21 September 2016 - iDempiere wins again BOSSIE Award for 2nd year. 12 April 2016 - Wiki is preserved for reference only. 16 September 2015 - "Well maintained offshoot of ADempiere with OSGi modularity" wins BOSSIE Award. 8 April 2015 - No. 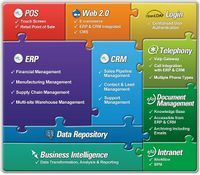 1 in Captera's The Top 5 Free, Open Source ERP Software. 14 December 2014 - OSGi Completes the Puzzle in IOT. 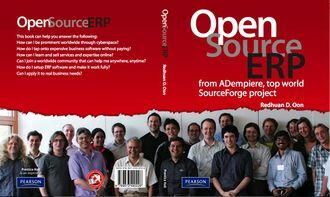 10 January 2012 - ADempiere 361LTS is the last final edition assured Long Term Support and enjoys open and community supported migration path to iDempiere (OSGi+ADempiere). Important contents of Wiki arranged as a Table of Contents style of a book. This section shows how to install the software in Windows, Mac or Linux. There is even an amazing AVA Installer using VMWare or VirtualBox and a 3-click Windows Installer by Kai Schaeffer. 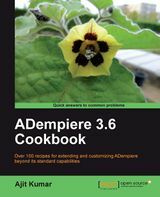 See the Development, Frequently Asked Questions(FAQ) and Extending ADempiere section. You configure and then learn how to develop with the help of the Developer Guide. The tutorials give you great hints on your way. Besides our Translation Project and List of Localization Projects, let us work on our own languages like a wiki! TOP pages of local communities: Deutsch, 中文社区首页/Chinese Community , Français, ภาษาไทยและชุมชน - Thai Language and Community, 日本語プロジェクト/Japanese Community and Brazilian Localization. Release 354a , Release_340 etc. Coordinated effort to supply commonly requested functionality. See Feature Development Collaboration for more Details! Other Verticals and projects still cooking. Papers on IBM porting. Download them .. Also works on GlassFish Apps Server. We need your help. If you know the Etiquette and see us as an open community with no borders, then join us and be all that you can be. One day, your name can be here at the Contributors and Citizens page which shall be accessed from every ERP that uses ADempiere. Read Getting Involved in QA or visit Summary page at Bintray. Please take note that SF is deprecated. Check out tasks, Bugs, Feature Requests, Support Requests You can help! Choose a bug and solve it, as a good initiation to ADempiere source code and development process. You can also browse the source code and see in real time the lastest modifications the developers have made. The Commit Committee finalizes on the source codes. If you wish to donate money, please do so with ADempiere e.V, our non-profit organisation based in Berlin, via its PayPal account: donation@adempiere.de. Visit our chat rooms in the newly created liferay portal. This page has been accessed 920,120 times.